We design our favourite quote from every story into an exclusive work of art for you to enjoy as a screensaver on your phone. It's a ruddy good looking reminder that you rock at Spanish. 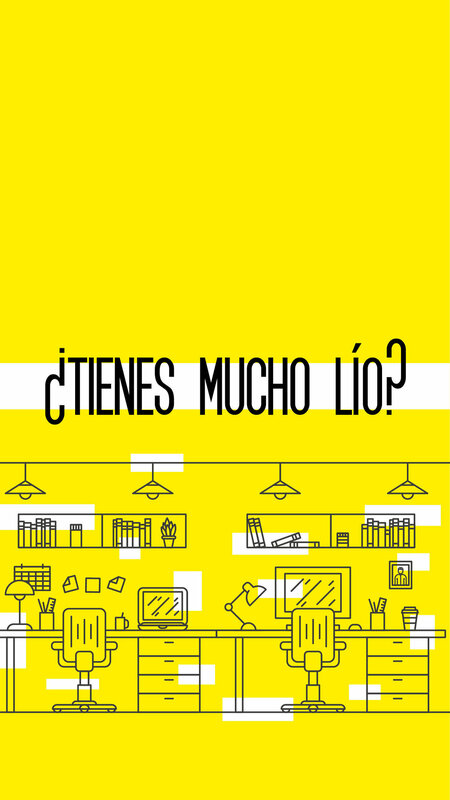 Here's our fav from '¿Tienes mucho lío? ': '¿Tienes mucho lío?' means 'Are you busy?'. But of course you already knew that right?! Nice! Now click here for your screenie. Save the image. Set it as your wallpaper. Enjoy. If you're not already in our Spanish Club we'll send you one email inviting you to join. It's 'opt-in only' so breathe easy. If you're not keen you don't have to do anything. Your email won't be stored on any lists and you won't receive anything else from us.